27 December 2016 – 1 out of 1 users found this review helpful. 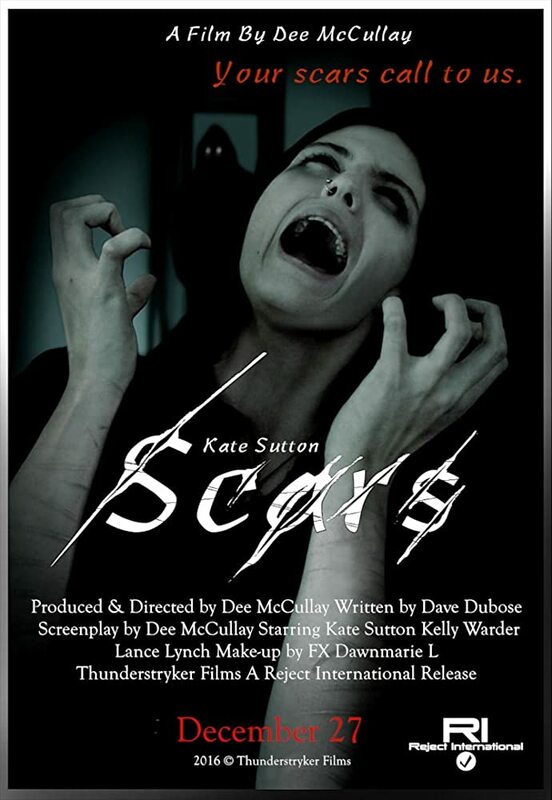 Scars is an intelligent, psychological horror film, that explores the complex mind of a woman on the edge of despair. After losing hope for the future, protagonist Faith struggles with the decision of whether to end her life or to fight through her pain. The inner conflict soon takes on physical form, manifesting two individuals, representing the two sides of the conflict. One projects a caring and friendly demeanor, and attempts to convince Faith not to take her own life. The second, a much darker and more intimidating figure, encourages her to give into her despair. Both figures offer her “Solutions to Sadness”, through different and opposite means. One through hope and perseverance and the other through submission and surrender. You’re left unsure whether the two visitors were supernatural forces, or metaphoric hallucinations manifested from the mind of someone devoid of hope. The mostly white environment helped create a contrast of light and shadow that helped further paint the inner turmoil of this films protagonist, and distinguish the dichotomy of choices presented to her. Scars plays out like a poem, adapted to the screen without losing any meaning or impact. I would recommend this short film to any fan of the horror genre. Scars manages to show us the darkness within us all and gives a glimpse into where true horror is born.